The family headed to our local town this Saturday for coffee and afterwards I went to Mint Velvet to spend the rest of my birthday gift card given to me by my girlfriends. I also bought another pair of their leggings because at £15 they are brilliant value for money and they are amazing! I'll hopefully get to wear one day this week. I then went to TK Maxx and tried on some hats. I really want one for the drizzly days to protect my hair from the wet but I am not sure they suit. Husband said I'd never wear one so a waste of money. I quite fancy one but I suspect he's right! 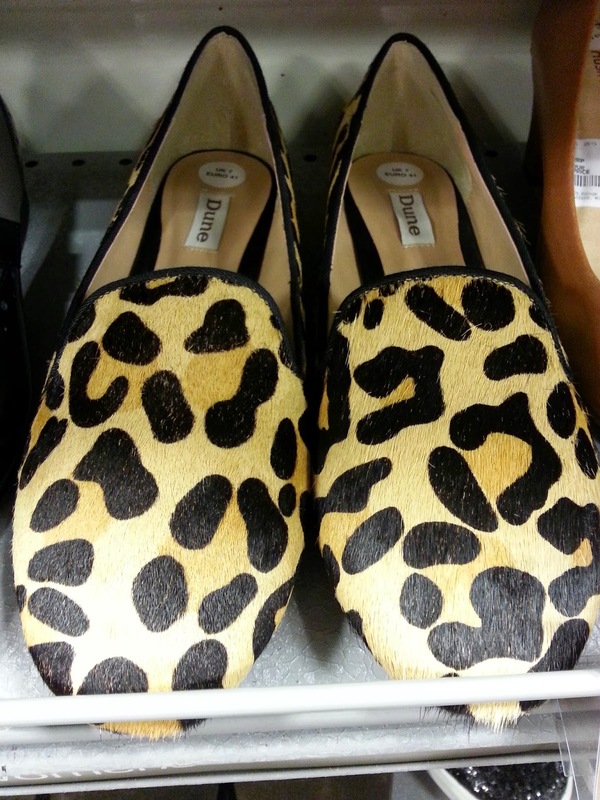 I am actually KICKING myself hard that I didn't buy these furry animal print slipper shoes. My size, gorgeous style and only £39.99. What are the chances they're still there today if I nip back? 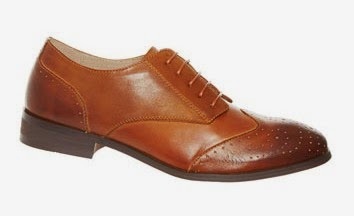 Or shall I order these tan brogues - at only £39.99 that's what I call a bargain. 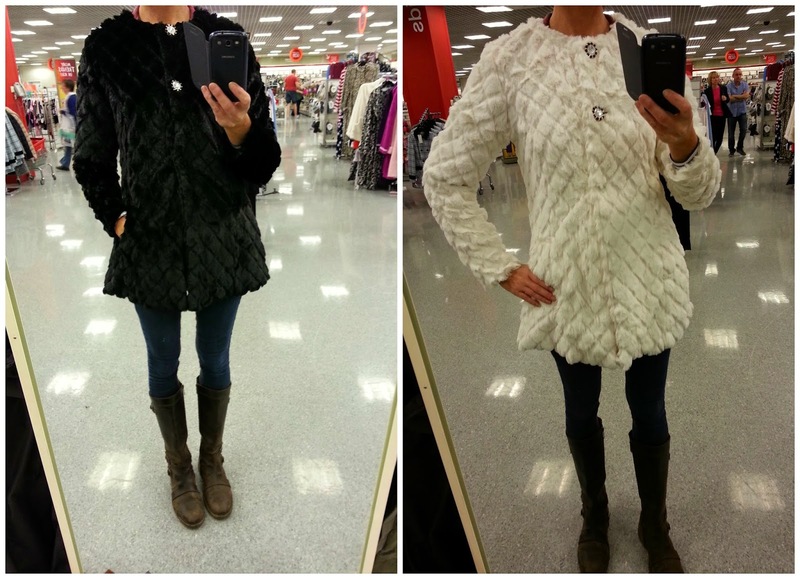 Also, what do you think about these faux fur coats (can be bought online)? They were SO SOFT and I liked them, they were only £24.99 but when I sent this pic to my friend and she replied saying she was unsure. I was already questioning me in a fur jacket and so her indecision made me put them back on the shelf. Should I buy a hat? Should I go back for those furry shoes? Should I buy tan loafers? HELP ME! You need the hat - every single one looks fabulous on you. Not sure about the fur coats, but think that is just because the weather is so nice at the mo...come the snow and I'll be hitting the furry leopard print for sure! I knew I shouldn't have listened to him! I have a fab bobble hat but that I adore that I bought from Topshop last week but sometimes a bobble hat looks stupid with a more formal outfit!! It was so cold this morning - 8 degrees! Love the third hat, they're perfect for keeping dry come the wet weather & not having to battle with an umbrella! £20 is a bargain - I think these were no more than that. Do you look at someone in a hat and think knob though? I think that is what people will say to me if I where one! Well, it is my birthday and some money may have just popped into my bank account courtesy of my Mum and Dad! Even at 41 I'm not deemed too old for a cash lump sum! I shall aim to get there tomorrow (Tuesday) to see if I can buy! It's the third for me too! As Arnie said, I'll be back! Agree on the 3rd. If you're after brogues, I'd recommend Clarks - and 20% off until Sunday with BTS14. I bypassed knitwear but perhaps I should go back and look if they are stocking &Other Stories stuff? I am going back FOR SURE tomorrow! I'll go back tomorrow and see if 3rd is still waiting for me! ooh controversial on the shoes Jane .. I shall go, try, photograph and 'see'! Go back, go back, go back ... run!!!!!!!!!!!!!!!!!!!!!! Just got to wait for them to be open! Then work and THEN, I shall be there! LOVE the hats - and get the shoes - I have the Sam Edelmans that are very similar and I love them. I also love the lazy doing nothing weekends - very similar to our own! I will update you tomorrow with what I bought. If they are still there then they were meant to be mine! You look SO good in hats - I think it's your new hair as well, but even so, they really suit you. Love your Mint Velvet purchase too. That last hat is the one - looks fabulous on you and I guarantee once you start wearing a hat in Autumn and Winter you'll feel naked without one! I've got my tweed flat cap on today.